Model year to: 05/2004; Fuel Mixture Formation: Common Rail (CR). HYUNDAI H-1 / STAREX MPV (A1) 2.5 CRDi MPV Diesel 12/2002 on RWD 16 140 103. Fuel Mixture Formation: Common Rail (CR). Fuel Type Diesel. PART NUMBER 0445010121 / 33100-27400. HYUNDAI SANTA FE TUCSON 2.0 CRDI HIGH PRESSURE FUEL PUMP. TUCSON 2006-2010 AND SANTA FE MK2 2006-2010. IF THERE ARE PART NUMBERS IN THE ADVERT, THEY'RE THERE FOR A REASON. Multiple choices exist for:HYUNDAI SONATA 2.0 High Pressure Pump. FOR HYUNDAI SONATA V. Fuel Type:Diesel. This is an original quality part manufactured by Bosch. PART CHOICE ALERT. Part specifications. Multiple choices exist for:HYUNDAI ix35 2.0 High Pressure Pump. FOR HYUNDAI ix35. Fuel Type:Diesel. This is an original quality part manufactured by Bosch. PART CHOICE ALERT. Part specifications. Multiple choices exist for:HYUNDAI GRANDEUR 2.2 High Pressure Pump. FOR HYUNDAI GRANDEUR. Fuel Type:Diesel. This is an original quality part manufactured by Bosch. PART CHOICE ALERT. Part specifications. Fuel Type Diesel. HYUNDAI 331002F000. Model year from: 08/2013; Fuel Mixture Formation: Common Rail (CR). Fuel Mixture Formation: Common Rail (CR). Model year to: 07/2015; Fuel Mixture Formation: Common Rail (CR). Fuel Type Diesel. HYUNDAI GRANDEUR (TG) 2.2 CRDi Saloon Diesel 06/2006 12/2011 FWD 16 150 110. HYUNDAI 3310027400. HYUNDAI GRANDEUR (TG) 2.2 CRDi Saloon Diesel 06/2006 10/2010 FWD 16 155 114. HYUNDAI i30 (FD) 2.0 CRDi Hatchback Diesel 10/2007 11/2011 FWD 16 140 103. HYUNDAI H-1 / STAREX MPV (A1) 2.5 CRDi MPV Diesel 12/2002 on RWD 16 140 103. HYUNDAI H-1 / STAREX MPV (A1) 2.5 CRDi 4WD MPV Diesel 12/2002 04/2004 AWD 16 140 103. HYUNDAI H-1 Box (A1) 2.5 CRDi Box Diesel 08/2003 12/2007 RWD 16 140 103. Multiple choices exist for:HYUNDAI TRAJET 2.0 High Pressure Pump. FOR HYUNDAI TRAJET. Fuel Type:Diesel. This is an original quality part manufactured by Bosch. PART CHOICE ALERT. Engine Code: D4EA<(2B) D20>; Model year to: 06/2007; Fuel Mixture Formation: Common Rail (CR). HYUNDAI LANTRA Saloon (XD) 1.5 D Saloon Diesel 06/2000 07/2006 FWD 16 112 82. HYUNDAI LANTRA Saloon (XD) 2.0 CRDi Saloon Diesel 04/2001 07/2006 FWD 16 113 83. Multiple choices exist for:HYUNDAI i30 2.0 High Pressure Pump. FOR HYUNDAI i30 I. Fuel Type:Diesel. This is an original quality part manufactured by Bosch. PART CHOICE ALERT. Part specifications. Multiple choices exist for:HYUNDAI LANTRA 1.5,2.0 High Pressure Pump. FOR HYUNDAI LANTRA. Fuel Type:Diesel. This is an original quality part manufactured by Bosch. PART CHOICE ALERT. Part specifications. Multiple choices exist for:HYUNDAI SANTA FE 2.0 High Pressure Pump. FOR HYUNDAI SANTA FE II. Fuel Type:Diesel. This is an original quality part manufactured by Bosch. PART CHOICE ALERT. Multiple choices exist for:HYUNDAI ELANTRA 2.0 High Pressure Pump. FOR HYUNDAI ELANTRA I. Fuel Type:Diesel. This is an original quality part manufactured by Bosch. PART CHOICE ALERT. Multiple choices exist for:HYUNDAI ix35 1.7 High Pressure Pump. FOR HYUNDAI ix35. Fuel Type:Diesel. This is an original quality part manufactured by Bosch. PART CHOICE ALERT. Part specifications. Model year from: 07/2008; Fuel Mixture Formation: Common Rail (CR). HYUNDAI ACCENT III (MC) 1.5 CRDi GLS Hatchback Diesel 11/2005 11/2010 FWD 16 110 81. HYUNDAI ACCENT III Saloon (MC) 1.5 CRDi GLS Saloon Diesel 11/2005 11/2010 FWD 16 110 81. 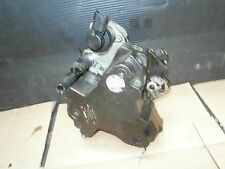 HYUNDAI ix55 High Pressure Pump 0445010385 3 01/06-. HYUNDAI ix55 3 V6 CRDi. BOSCH WIPER BLADES & MOTOR. CHAMPIONS WIPER BLADE. APEC WHEEL BRAKE CYLINDER. APEC BRAKE DISC & PADS KIT. BOSCH IGNITION & FUEL PARTS. Reference OE/OEM Number: 3310027000 / 33100 27000. Warranty: 1 Year. MPN: 986437020. Condition: Remanufactured. Important item compatibility information. HYUNDAI ELANTRA High Pressure Pump 0986437020 2 01/00-01/06. HYUNDAI ELANTRA (XD) 2 CRDi. BOSCH WIPER BLADES & MOTOR. CHAMPIONS WIPER BLADE. APEC WHEEL BRAKE CYLINDER. APEC BRAKE DISC & PADS KIT. BOSCH IGNITION & FUEL PARTS. 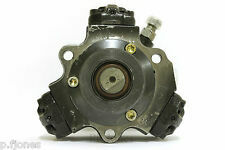 HYUNDAI ELANTRA High Pressure Pump 0445010279 2 01/00-01/06. HYUNDAI ELANTRA (XD) 2 CRDi. BOSCH WIPER BLADES & MOTOR. CHAMPIONS WIPER BLADE. APEC WHEEL BRAKE CYLINDER. APEC BRAKE DISC & PADS KIT. BOSCH IGNITION & FUEL PARTS. BOSCH WIPER BLADES & MOTOR. HYUNDAI MATRIX (FC) 1.5 CRDi. CHAMPIONS WIPER BLADE. APEC WHEEL BRAKE CYLINDER. APEC BRAKE DISC & PADS KIT. BOSCH IGNITION & FUEL PARTS. 2 Year Warranty Bosch High Pressure Pump. 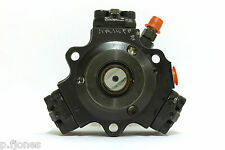 HYUNDAI SANTA FE High Pressure Pump 0445010281 2 01/00-01/06. HYUNDAI SANTA FE I (SM) 2 CRDi. BOSCH WIPER BLADES & MOTOR. CHAMPIONS WIPER BLADE. APEC WHEEL BRAKE CYLINDER. APEC BRAKE DISC & PADS KIT. 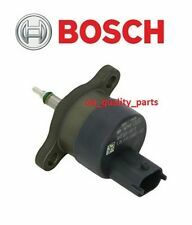 BOSCH IGNITION & FUEL PARTS. HYUNDAI 311101C000, 311101C010, 3111125000. HYUNDAI GETZ (TB) 1.1 Hatchback Petrol 09/2002 09/2005 FWD 12 63 46. HYUNDAI GETZ (TB) 1.1 Hatchback Petrol 09/2005 06/2009 FWD 12 67 49. HYUNDAI GETZ (TB) 1.3 Hatchback Petrol 09/2004 06/2009 FWD 12 83 61. UK Diesel Parts Common Rail Pressure Regulator Valve also know in the industry as Diesel Regulator Valve (DRV) or Fuel Pressure Regulator (FPR) are fixed to the common rail high pressure pump or to the common rail in majority of modern diesel cars. ENGINE CODE: D4FA 16V 1.5 LTR CRDi. FULLY TESTED & EXCELLENTWORKING BOSCH ORIGINAL FUEL INJECTION PUMP COMPATIBLE FOR HYUNDAI ACCENT, i20, GETZ & KIA RIO 2005-11. COMPATIBLE FOR VARIOUS MODELS OF HYUNDAI FITTED WITH ABOVE ENGINE SPECIFICATIONS. HYUNDAI SANTA FE High Pressure Pump 0986437022 2 01/00-01/06. HYUNDAI SANTA FE I (SM) 2 CRDi. BOSCH WIPER BLADES & MOTOR. CHAMPIONS WIPER BLADE. APEC WHEEL BRAKE CYLINDER. APEC BRAKE DISC & PADS KIT. BOSCH IGNITION & FUEL PARTS. FOR HYUNDAI SANTA FE I. This is an original quality part manufactured by Bosch. Fitting Position:Fuel Line. Vehicle compatibility. Part specifications. High Pressure Diesel Pump 0445010354 Bosch. Part Number 0445010354. HYUNDAI 331004A000. KIA 331004A000. Model year to: 05/2004; Fuel Mixture Formation: Common Rail (CR). Fuel Mixture Formation: Common Rail (CR). HYUNDAI SANTA FE 2.0 CRDi MK1 2001-2005 ELECTRIC FUEL PUMP BOSCH 0580464084 / 291070018, AS PICTURED. REMOVED FROM HYUNDAI SANTA FE 2.0 CRDI (1991cc), DIESEL, 5 DOOR, 4x4, ESTATE. COMPATIBLE WITH SANTA FE MODELS FROM 2001-2005 YEAR, ALSO HYUNDAI TRAJET AND TUCSON IF PART NUMBER MATCHES. KIA / HYUNDAI 2.0 CRDI. THIS WILL MAY FIT OTHER KIA AND HYUNDAI MODELS. 2007 Kia Carens. HIGH PRESSURE FUEL PUMP. COLOUR :BLACK. TRANSMISSION :6 GEARS MANUAL. PART NUMBERS PAINT CODE :-. Part Number: 0445010121. 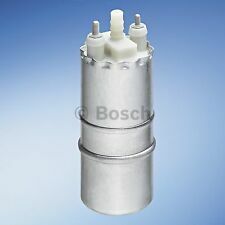 Used Bosch fuel pump, to fit Kia & Hyundai - 2.0 & 2.2 CRDi Diesel (Santa Fe, Tuscan, Ceed, etc). Kia & Hyundai Diesel Fuel Pump. High Pressure Diesel Pump 0986437431 Bosch. Part Number 0986437431. HYUNDAI 331002F000. KIA 331002F000. Model year from: 08/2013; Fuel Mixture Formation: Common Rail (CR). Fuel Type Diesel. Fuel Mixture Formation: Common Rail (CR). FULLY TESTED & EXCELLENTWORKING BOSCH ORIGINAL FUEL INJECTION PUMP COMPATIBLE FOR HYUNDAI SANTA FE, TUCSON, ELANTRA, TRAJET & KIA CARENS II 2005-09. COMPATIBLE FOR VARIOUS MODELS OF HYUNDAI FITTED WITH ABOVE ENGINE SPECIFICATIONS. FOR HYUNDAI ix55. Fitting Position:in fuel tank. This is an original quality part manufactured by Bosch. Vehicle compatibility. Part specifications. Quantity Included:1. HYUNDAI 311101R000, 311101R200. KIA 311101R000, 311101R200. Engine Code: G4FC; Model year from: 01/2011. Engine Code: G4FC; Model year to: 08/2014. 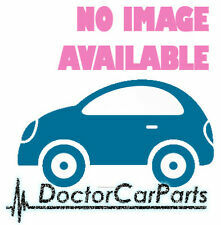 HYUNDAI ACCENT IV (RB) 1.4 Hatchback Petrol 11/2010 on FWD 16 107 79. HYUNDAI 311101R000, 311101R200. KIA 311101R000, 311101R200. HYUNDAI ACCENT IV (RB) 1.4 Hatchback Petrol 11/2010 on FWD 16 107 79. HYUNDAI ACCENT IV (RB) 1.6 Hatchback Petrol 11/2010 on FWD 16 124 91. HYUNDAI ACCENT IV (RB) 1.6 Hatchback Petrol 12/2010 on FWD 16 122 90. HYUNDAI AMICA / ATOZ Fuel Pump 0986580806 1 01/98-. HYUNDAI AMICA / ATOZ (MX) 1 i. in fuel tank Electric with add-on material, Intake Manifold Injection/ Carburettor. Hatchback / Petrol / Front Wheel Drive. ENGINE CODE: D4HA 16V DOHC 2.0 LTR DIESEL. COMPATIBLE FOR VARIOUS MODELS OF HYUNDAI FITTED WITH ABOVE ENGINE SPECIFICATIONS. 100% HYUNDAI GENUINE PRODUCT WITH 3 MONTHS WARRANTY. WE ARE ALSO NOT RESPONSIBLE FOR ANY LABOR EXPENSES, TOWING EXPENSES OR RENTAL CAR EXPENSES CAUSED BY THE USE OF WRONG OR DEFECTIVE PARTS DURING INSTALLATION. High Pressure Diesel Pump 0986437354 Bosch. Part Number 0986437354. HYUNDAI 3310027400. KIA 3310027400. Model year from: 07/2006; Model year to: 11/2010; Fuel Mixture Formation: Common Rail (CR). Fuel Type Diesel. HYUNDAI PONY Fuel Pump 0580453443 1.5 01/89-01/95. in fuel tank Electric without add-on material, Intake Manifold Injection/ Carburettor. Hatchback / Petrol / Front Wheel Drive. HYUNDAI PONY (X-2) 1.5 i.